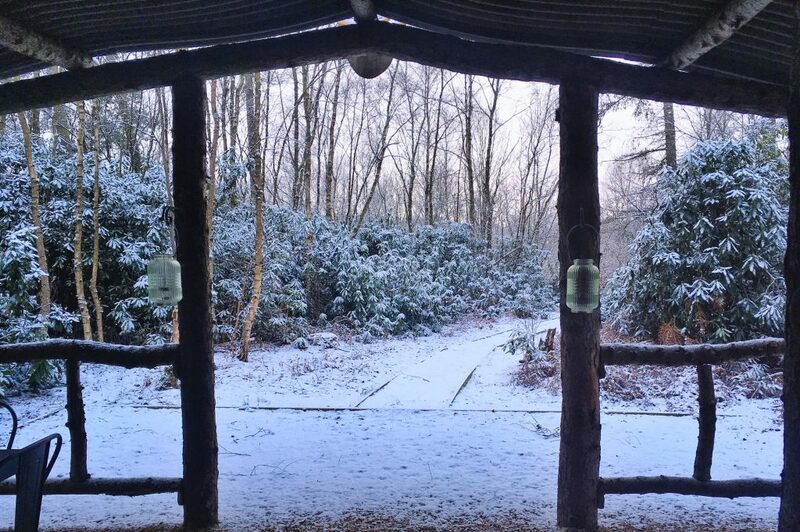 Waking up at 6:45am to what felt like 360 degree views of nothing but snowy trees, I couldn’t think of anywhere I’d rather be. 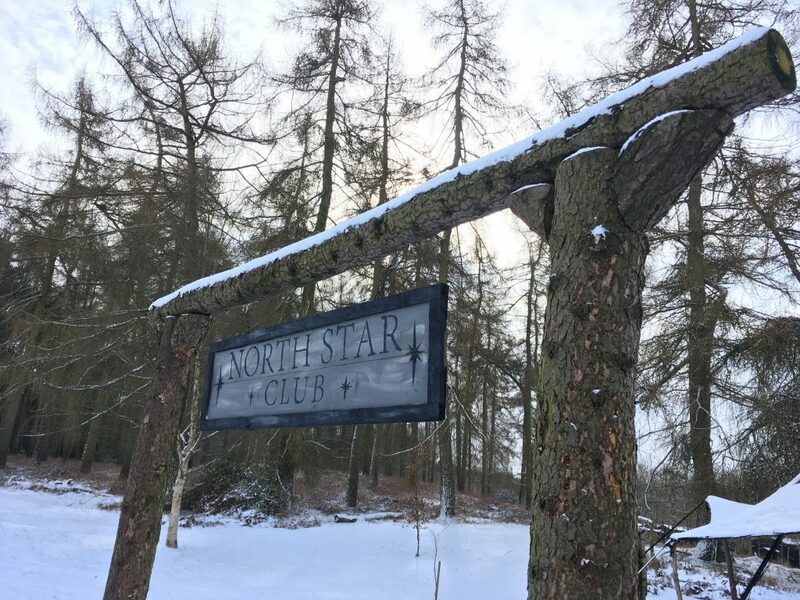 A couple of weeks ago, I headed to the North Star Club in Yorkshire for what was undeniably my favourite UK-based break yet. My first trip of 2018 has set the bar high and yet, I’m certain this year will be filled with many more adventures. 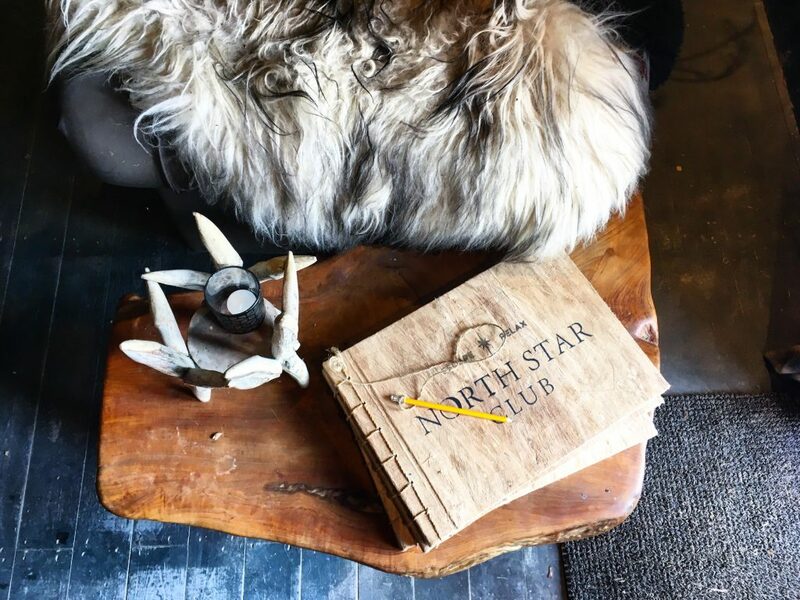 My 3-day stay at the North Star Club in Sancton was the epitome of slow-living and let’s just say, I could 100% get used to waking up in a log cabin in the middle of the woods. With a late check-in for the North Star Club, we decided to make the most of our Monday away from the office with a day-trip to York. Wanting to just be present in the moment (and also because my hands were way too chilly to leave my pockets) I didn’t take any photos whilst in York. Of course I love having photos to look back on (and upload to Insta to keep my grid looking fresh) just as much as the next person. But sometimes it’s nice to just be there without getting caught up in capturing the perfect photo. Without sounding like a walking, talking cliche, far too many of us experience moments staring down a lens or looking at it through the screen of our iPhone camera app and personally, it’s something that I’d like to do less of. Before our trip to York, we’d both unknowingly made lists of some brunch/lunch places to visit. Despite this and through an unfortunate twist of events, our day in York saw us visit a sub-par café for pancakes. Thankfully, the pancake disaster was made up for when we visited the quaint and charming Trembling Madness for a quick pit-stop and moment of warmth after exploring the City Walls and meandering along the Shambles uncountable times. If you’re a craft ale lover or simply a fan of charming medieval spots, then Trembling Madness is a must-visit whilst in York. 1kg of fudge heavier (don’t ask…), we decided it was probably time we continued our journey to the North Star Club and so we headed back towards the car. But not without a movie-like moment of walking hand-in-hand in the snow as a busker sang a heartfelt and raw rendition of Mad World. Winding along the dirt road, I was suitably giddy as we arrived at the grounds of the North Star Club. Feeling like I needed a break from the 9-5 slog, I was beyond excited to spend the next few days away from the city-life. As soon as we arrived at the log cabin, we lit the fire to cosy up before heading outside for our first barbecue of the stay. There’s something deeply satisfying about barbecuing on a cold winter’s night. If you haven’t ever experienced a night-time winter barbecue then let me tell you, they are seriously underrated. 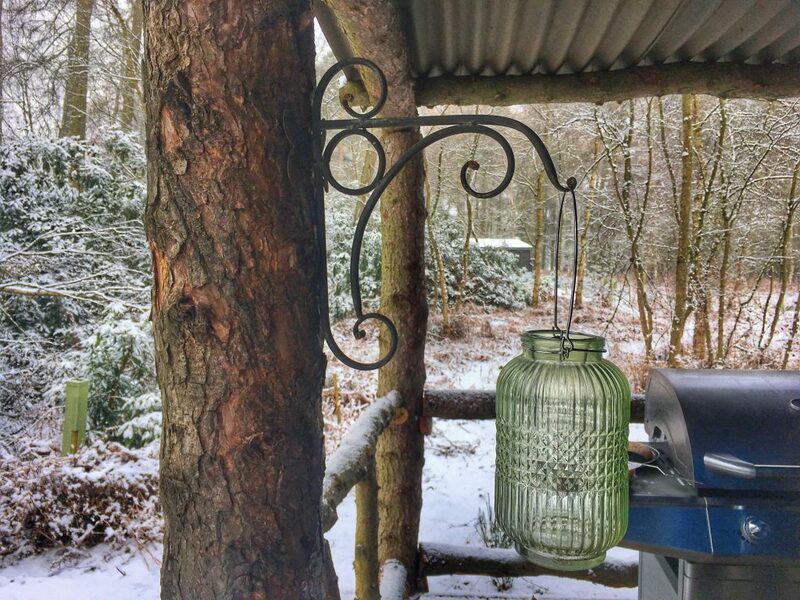 I, for one, think we should have more winter barbecues instead of just dusting them off for that rare 1 week of sunshine we get in the summer time. Talking and laughing into the late of the night, we both fell sound asleep in what was potentially the world’s comfiest bed ready for our second day filled with Yorkshire exploration. 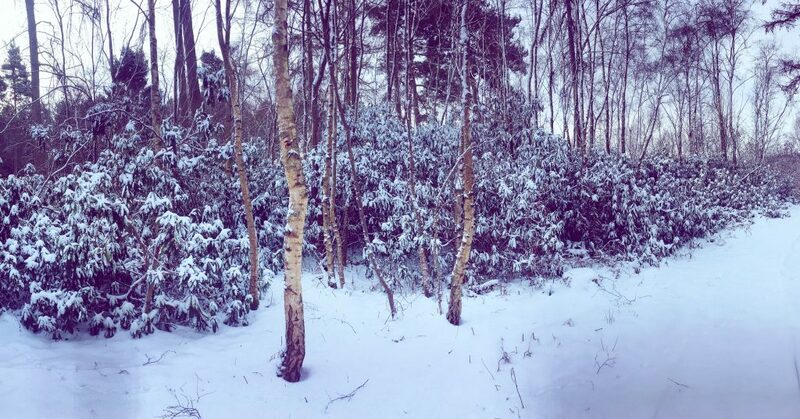 On Tuesday, I excitedly awoke at 6:45am and drew back the curtains so we could lay, tangled up in bed, appreciating the snowy winter woods around us. I could definitely picture myself running away to the woods and waking up to those woodland views every single morning. It’s no secret that I love being outside, adventuring and exploring, so North Star Club ticked all of the right boxes for me. 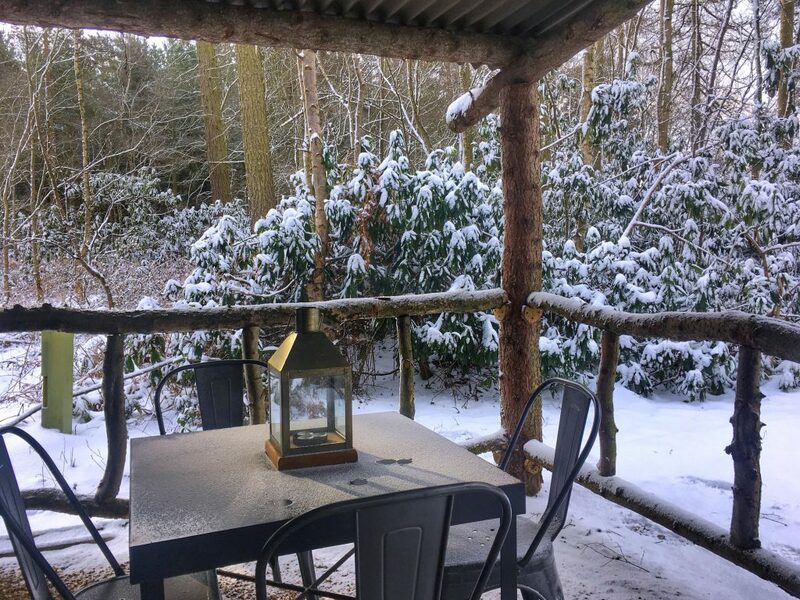 Skipping out of bed, I fired up the log burner to warm the cabin whilst Callum tended to the barbecue ready to make breakfast. 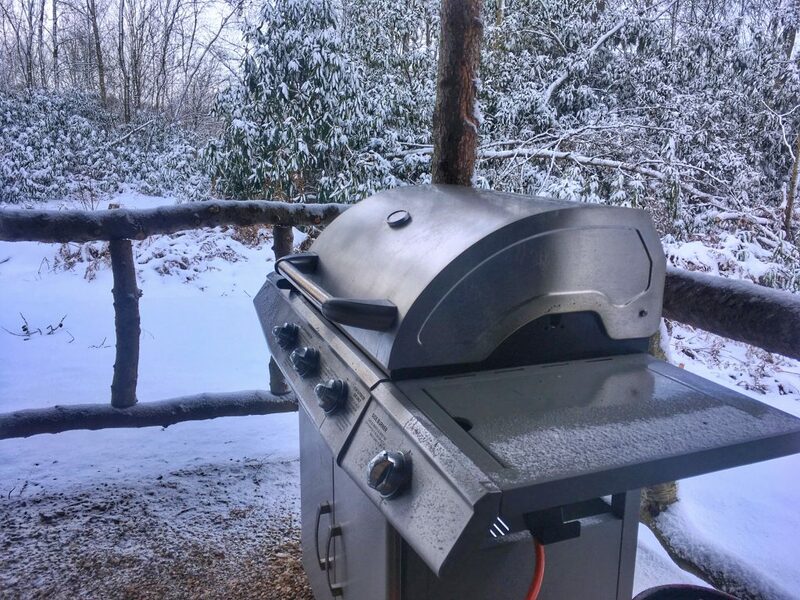 The novelty of barbecuing in the snow made me even more excited than I already was about staying in a log cabin. 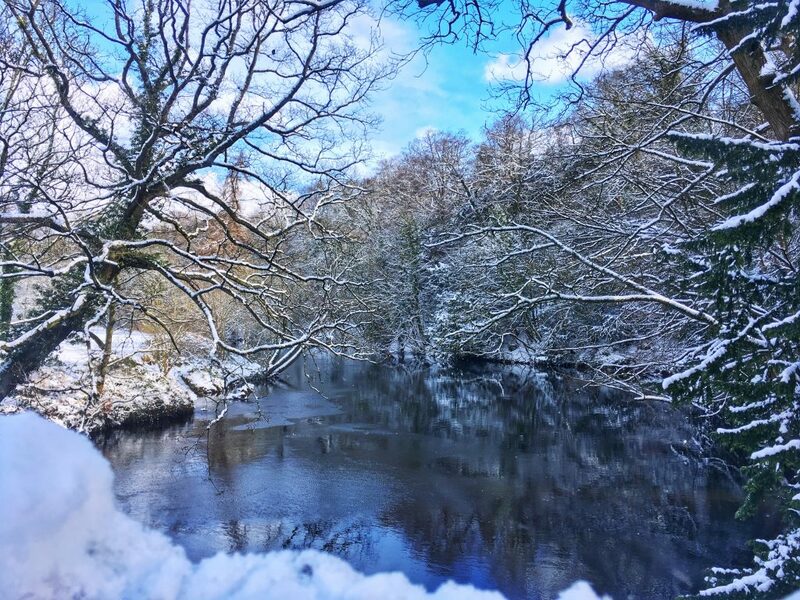 Wanting to make the most of our day, we left out cosy little cabin and headed towards Howard’s Castle for a day exploring the grounds in the snow. 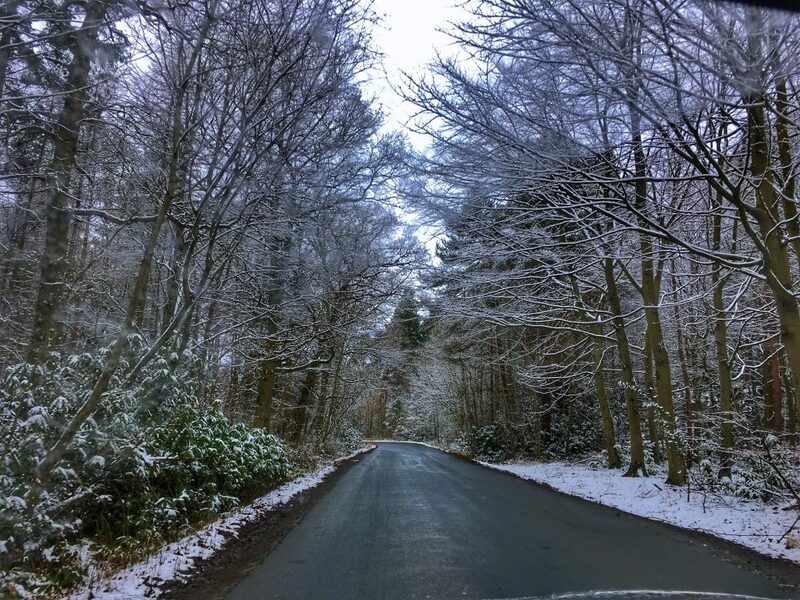 Even the drive up to Howard’s Castle was picturesque. Snow definitely makes everywhere look 100x more beautiful and moody – it’s an aesthetic that warms my heart. Much like our day in York, I didn’t take many photos whilst on our Tuesday walk. Though this time, it was mainly because my phone decided to plummet to 1% battery (thanks Steve Jobs…). 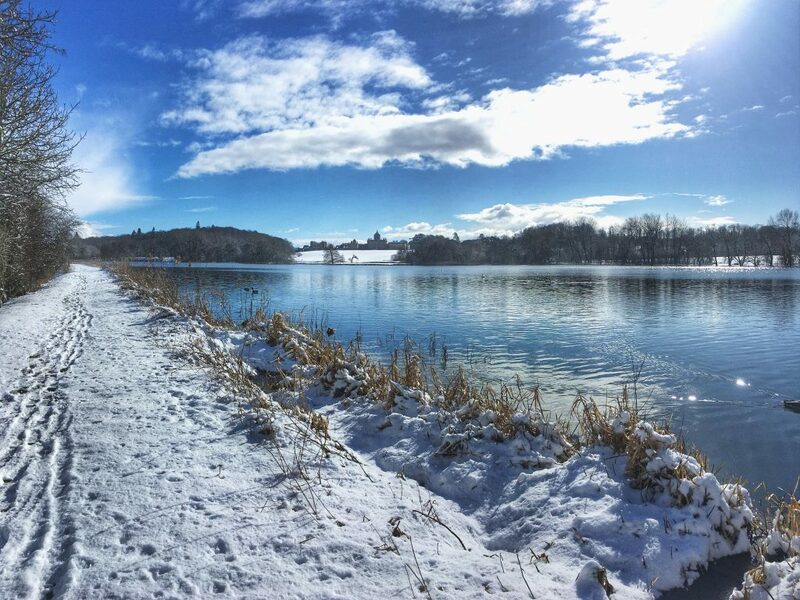 With a lack of photographic evidence, you’ll have to accept my word when I say it was a stunning and snowy walk! With a few wrong turns thrown into the mix, we wandered around the grounds of Howard’s Castle, slowly working our way past the lake and several monuments. In a split-second, as we took the lesser known path, the blue skies dramatically changed to a cloudy haze and with it came the snow. 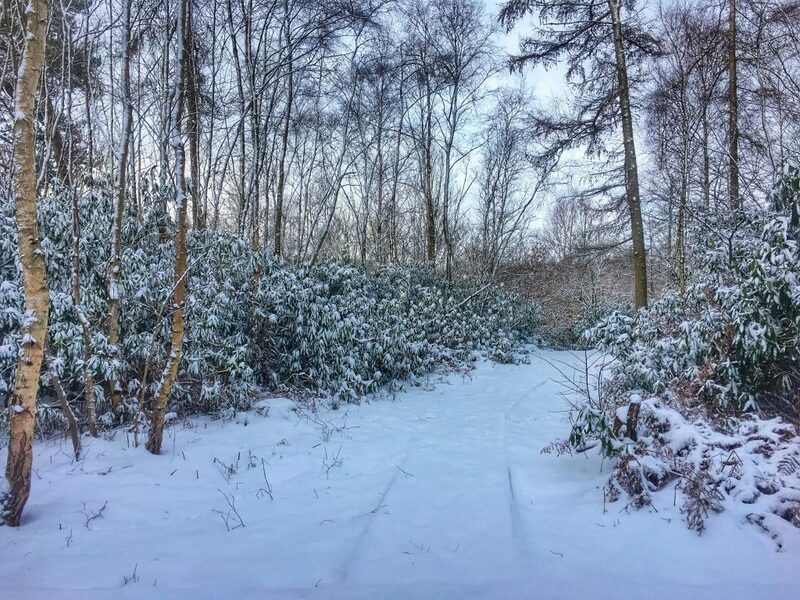 Being a Blackpool girl, used to nothing but rainy, windy winters, it’s hard to describe just how happy it made me to be walking through the snow-covered woods and fields. Those blustery snow drifts were a million miles better than the dreary rain I’m used to back home. Coated in snow and going numb from the cold, we made our way to the car to drive back to the cabin to thaw out before venturing out again for food. Tuesday evening was spent dining at The Star Inn – the tastiest and loveliest gastropub. The service couldn’t be faulted and the pub was toasty thanks to the well-stoked log burner. There’s nothing better than a hearty country pub lunch after a day of walking and the bar menu at The Star Inn was filled with the perfect post-walk food. After a relaxed evening at the Star Inn, we strolled back to the North Star site to hide away in our little log cabin for the rest of the night. As we strolled up the dirt path to the cabin, we could see people sat around the outside fire pit and I absolutely cannot wait to come back in summer time to do just that. But on that chilly Tuesday night, we opted to sit on the veranda of our cabin, wrapped up in the fur throw, watching the stars and sky. 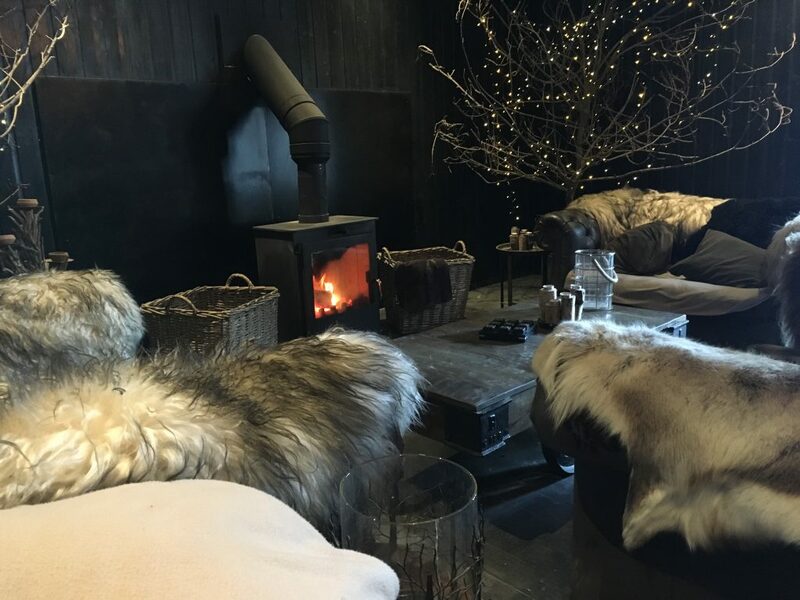 After a short while appreciating the silence of the outdoors, we sneaked back inside to get cosy by the fire. North Star Club kindly put together a little welcome pack which included marshmallows and hot chocolate. Being the well-seasoned adventurer that I am, I’d already thought ahead and packed some dark chocolate digestives. Perfect for making some truly British s’mores. Using some rustic marshmallow toasting twigs that we’d hand-picked from a nearby bush on our way back up to the cabin, we spent the rest of the night toasting marshmallows, eating s’mores and drinking cocoa by the fire. 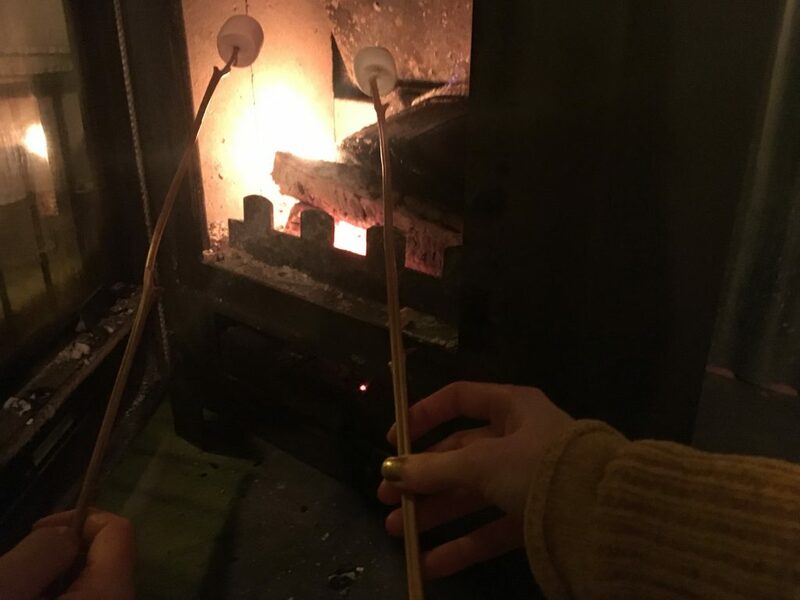 It sounds sickly romantic, I know but thanks to my clumsy, messy disposition, I was pretty much covered head-to-toe in melted marshmallow and chocolate whilst my hands were well-charred and burnt from sticking them in the fire. I can assure you, it was a far less attractive sight than something you’d see in a cheesy chick flick. Tearing myself away from bed that Wednesday morning was a pretty difficult task. I seriously did not feel ready to leave that little log cabin in the woods. Luckily, the excitement of barbecuing in the snow helped ease the pain. After all, not much can compare to getting all wrapped up and having a breakfast barbecue in the snow. The novelty of the snow definitely hadn’t worn off yet. and honestly, we couldn’t have asked for better weather for our few days in the woods. The snow storms made it somewhat magical and serene. Though, I imagine it would have been just as breath-taking and calming without the snow. 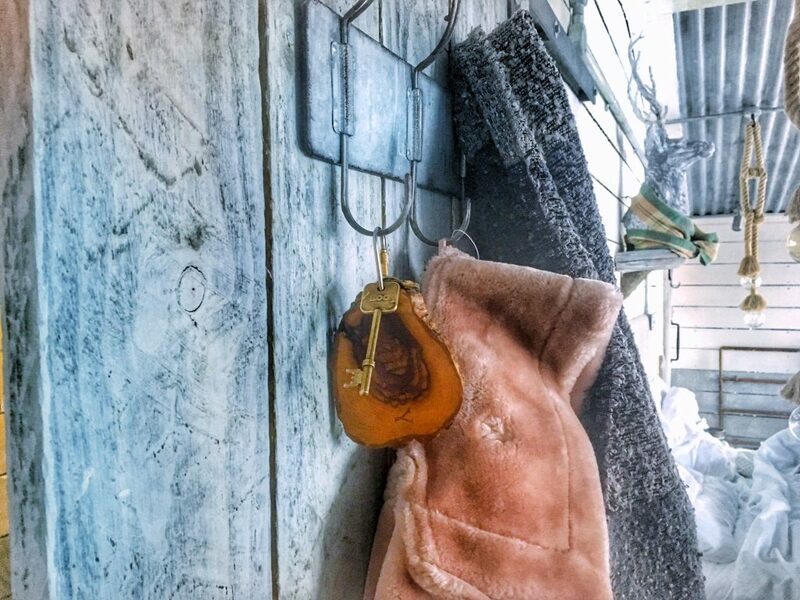 Once we’d loaded the car up, we made our way to the Woodshed to hand in our key until our next trip to the North Star Club. 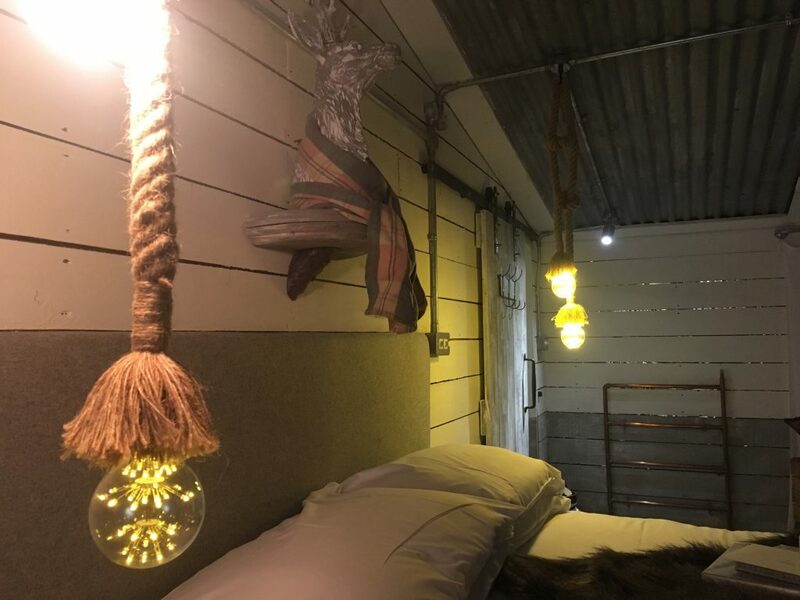 The Woodshed is a seriously cosy looking spot filled with furs, fairy lights and a log burner. 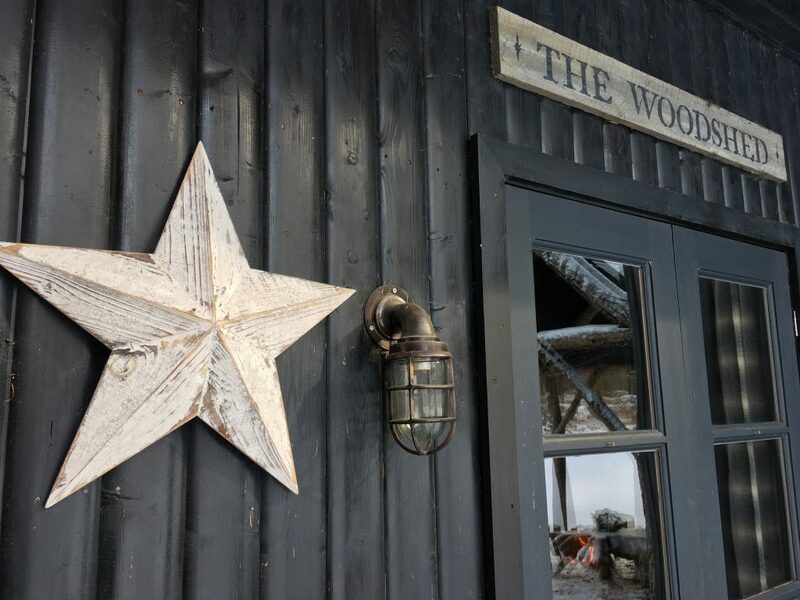 If you ever visit North Star Club as a group, then the Woodshed is the perfect place to catch-up, eat, drink and relax before heading back to your lodges. 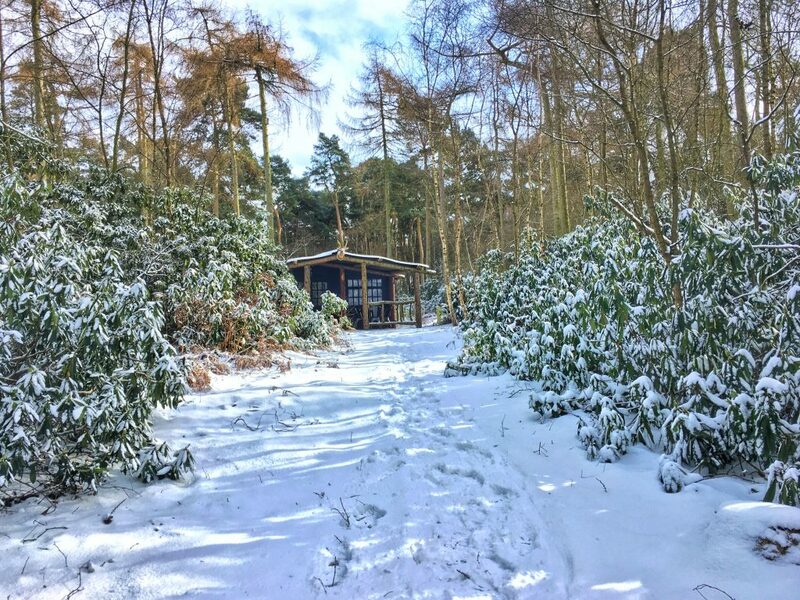 There’s also an honesty hot drinks bar and board games, making it an ideal spot to relax if you want a change of scenery or more social setting than your log cabin. 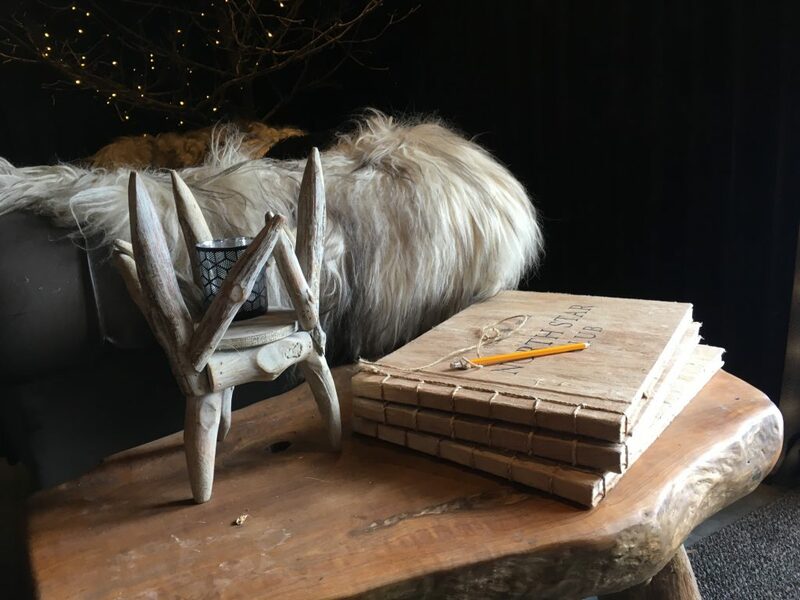 Plus, the decor was just as dreamy as the lodges and gave me serious home envy. As checkout was at 10am, we decided to make a stop-off at Knaresborough before traveling home. This little Yorkshire town was full of treats and it’s definitely one that’s on my re-visit list. Although the Mother Shipton caves were sadly out of season, Knaresborough was a lovely, quiet town to just wander around for a few hours. The Petrifying Well will simply just have to wait until the Summer-time, giving us the perfect excuse to come back again. 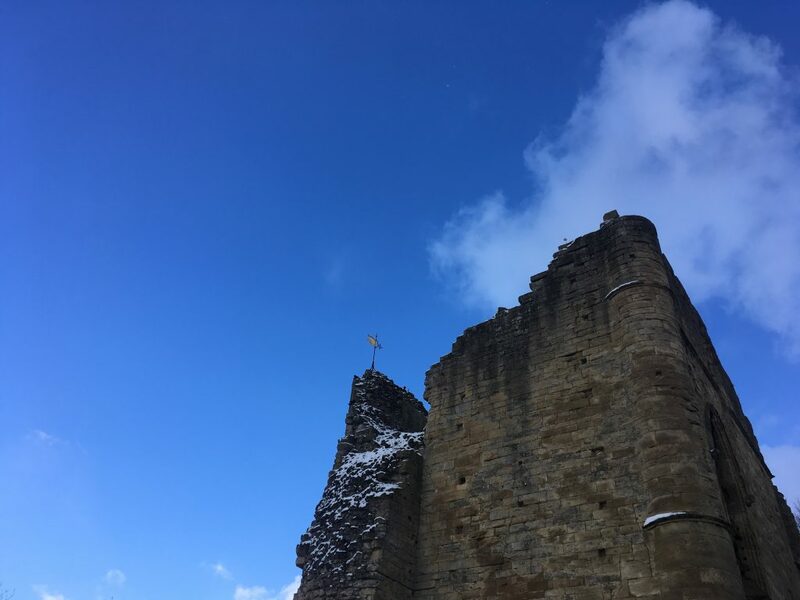 Filled with medieval, historic buildings and impressive views, there was still plenty to see and do whilst we were in Knaresborough. 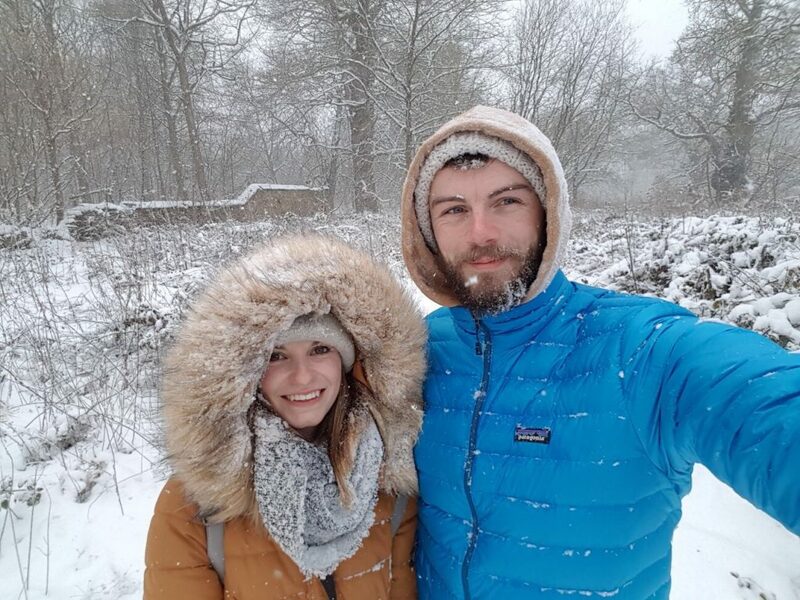 Overall, our short UK break in Yorkshire and off-grid getaway at the North Star Club couldn’t have been more perfect. 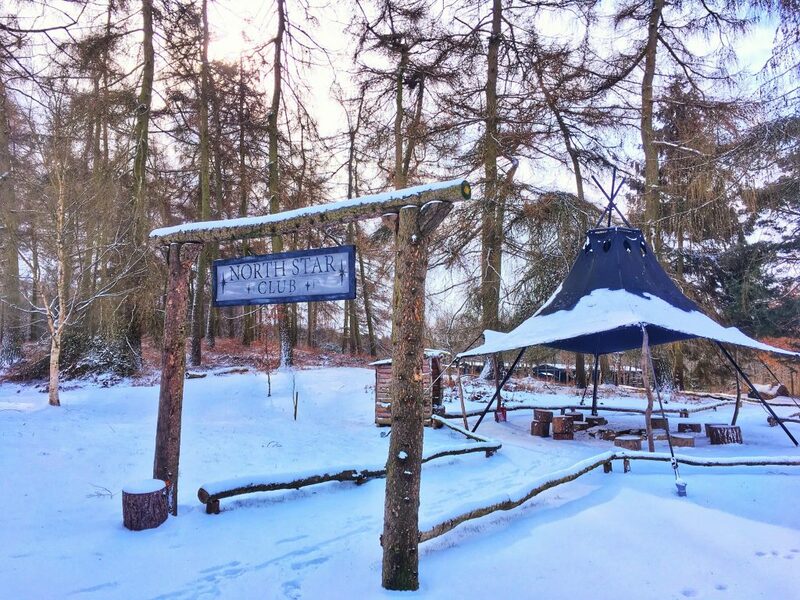 The snowy weather certainly added to the charm of the woodland trip and I most definitely can’t wait to go back again to explore even more corners of Yorkshire and cosy up at the North Star Club.